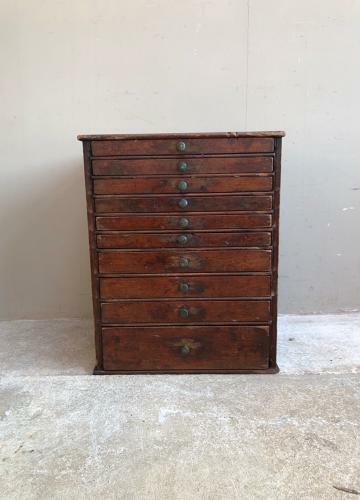 Victorian Pine Graduating Flight of Ten Specimen Drawers. Complete original condition, including the paint & a full set of knobs. Great sturdy condition & because its original there are a few marks and knocks but no worm. Can be posted, wrapped well Parcel Force 48 for £20.